When we had DISH, they installed it on two TVs for us, controlled by one box. This allowed us to watch either two different programs or record two different programs and watch a third on both TVs. When we canceled DISH, I still wanted to get programs to my office system, which was a 9″ DVD player attached to an older VHS/DVD player burner. It tuned out that the VHS/DVD burner/player had a TV tuner in it and this tuner was for both NTSC and ATSC TV broadcasts. So while we had DISH, this tuner was tuned to channel 69, and it now has to be tuned to channel 3. 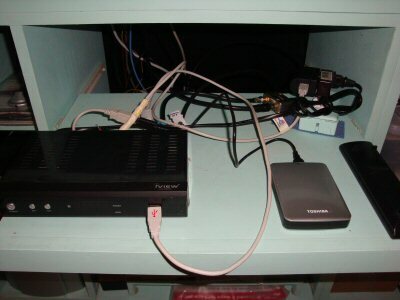 The iView box was pretty easy to hook up to both TVs – the one in the master bedroom and the system in my office since DISH left all the cabling. I simply had to find the cable that went to my office, which wasn’t at all difficult. The iView box had an HDMI and an RF NTSC coax output. At first, I just used the iView box and its RF output and attached the coax to my office to that; everything worked just fine. But, as I looked at my system, I decided that I wanted to be able to switch between watching TV (the iView tuner, DVR), a DVD, or the Internet programming available with the SONY Internet video box I also had. The Blu ray also had some Internet video but the SONY box had far more Internet video options than the simple Blu Ray player did. This left me with the following options: The iView tuner had an RF coax output. 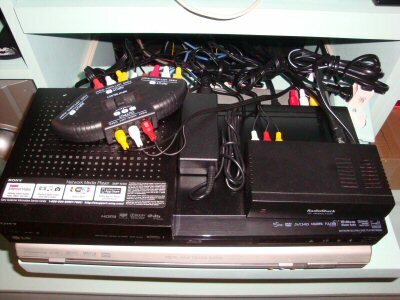 The Blu-ray and the Internet boxes had both HDMI and a standard stereo audio and video outputs, the red, white, and yellow outputs. I also had, in my bag of tricks, an older channel 3 or 4 RF modulator from RadioShack so I could put one red, white, and yellow audio/video set of cables into it and broadcast it as an NTSC format for channel 3 or 4. 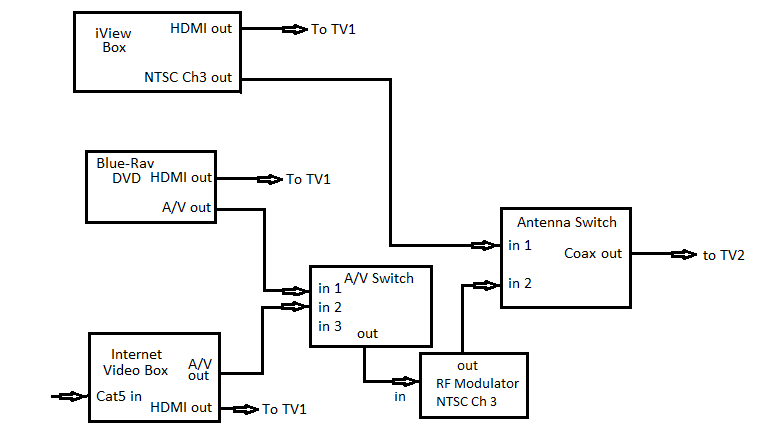 I tested this out and it worked so I put a coax cable switch on the coax going to my office and the two inputs were from the RF modulator and the iView tuner/DVR. I had to hand change the audio. video cables depending on which I wanted to use, the DVD or the Internet boxes. I’ve bought A used three-way audio/video switch box from eBay, which makes it a little easier to deal with this situation. 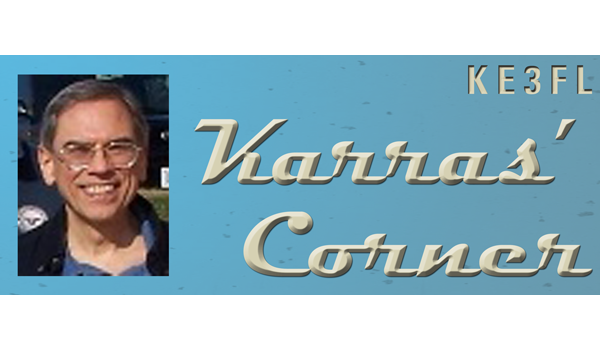 Now, you may be asking why I couldn’t simply use channel 3 from the iView box and channel 4 from the RF modulator. I knew that the reason there was never both a channel 3 and 4 in the same city was because of the certain interference between the two channels. Also, putting both of these on one coax was just asking for interference, but, I had to try it anyway. Sure enough, the interference when both were broadcasting was terrible. The tuner simply could not separate the signals well enough. I went right back to both broadcasting on channel 3, to make it easier for the tuner in the office. I use switch boxes for the two coax outputs from the iView and RF modulator boxes and the audio/video inputs to the RF modulator. The final system can be seen in the diagram and photos below. Here’s the antennas switch, also you can see the USB AC power supply that I now use to power the iView’s hard drive on the next shelf. 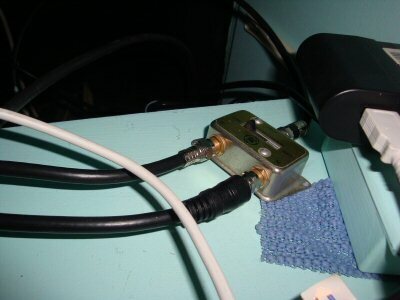 This antenna switch selects either the Channel 3 output of the iView box or the RadioShack RF Modulator box on the shelf below. This next photo is of the complete top shelf with the iView box, the hard drive, the antenna switch and the USB AC power supply. You might be able to trace the white USB cable which is a home made splitter so that I can pipe in the extra power from the USB AC power supply to the HD when the iView needs it. 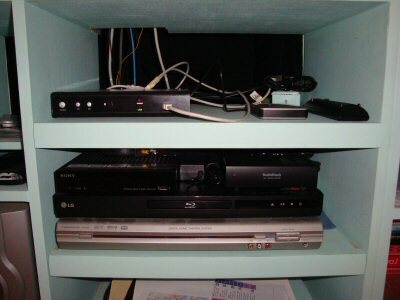 Here’s shelf 2 with the DVD/Blu Ray player, the Internet Video Box on top of the Blu Ray player, the RadioShack RF Modulator to the right, and the A/V Switch box on top of the Internet Video Box. This switch has three inputs of which I’m only using two, one from the Blu Ray player and the other for the Internet Video Box the output then goes to the RF Modulator which outputs a NTSC Channel 3 TV signal that goes to the antennas switch on shelf #1 above. Now we see a photo of both shelves pushed back in which shows the arrangement and how well all the wires are hidden, or not, when I don’t need to get to them. 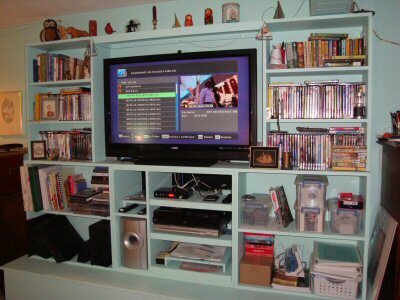 This last photo is of the Entertainment shelf system with the iView running a recorded program while looking through the recorded shows. Could broadcast TV offer on demand programming? Can you test your coax network using a Genie client?